You say “stem”, we say “chimney”. The site is comfortably nested in the shade and cool air and sheltered from the rain. With a range of over 20 routes to choose from, our toprope Rock Climbing Tour is the perfect way for an experienced climber to enjoy interesting climbs and learn the true meaning of the word “chimney”. Warm up with some easier routes and get familiar with the site, move on to the next level. Optional! 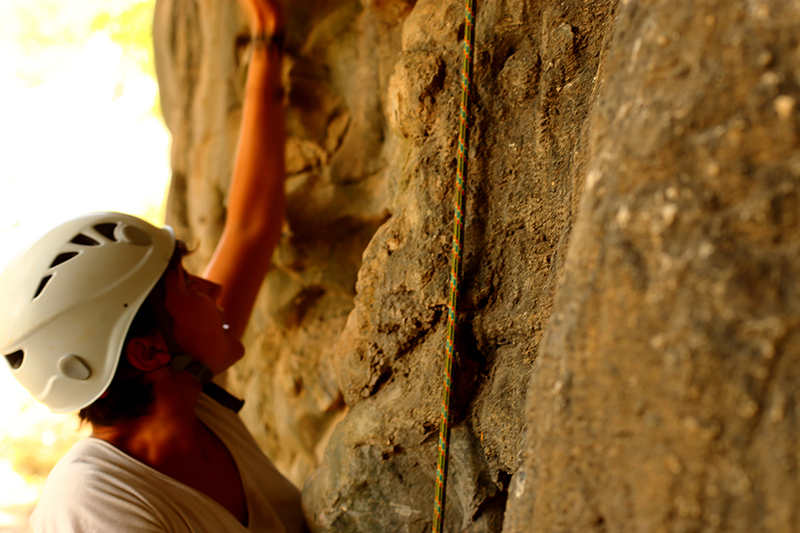 If in need for a 1 hour break, climbers can join the 1 hour caving tour. Wear lace up shoes. Optional! If in need of a short break, we can take you on a 15 – 20 minutes more challenging caving tour. Wear lace up shoes.